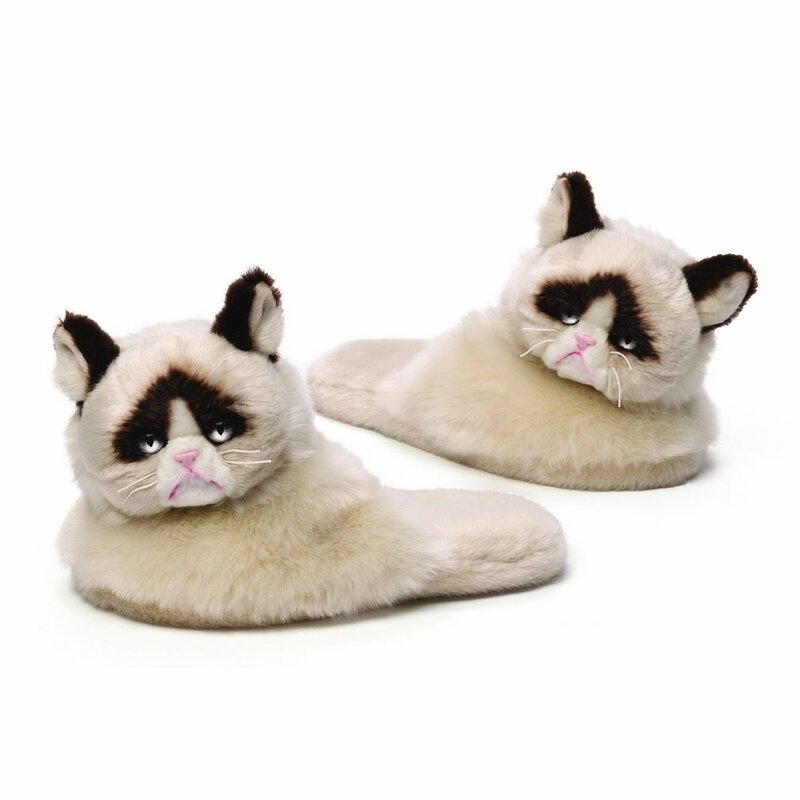 Grumpy Cat Slippers are a cozy and comfortable way to show off your love for the internet’s favorite kitty curmudgeon. Adorable plush replicas of Grumpy Cat on top of each slipper feature realistic details and her signature grouchy expression. Grumpy’s head rotates allowing you to customize your look — perfect for spreading her unique, cantankerous humor wherever you go.